Enjoy the magic of Christmas with these beautiful Christmas reindeer figurines made out of paper. It’s day 6 of our Paper Christmas Decor series. Sadly the amazing paper Christmas decor ideas are coming to an end. But let’s not be sad because todays post is sure to make you smile! 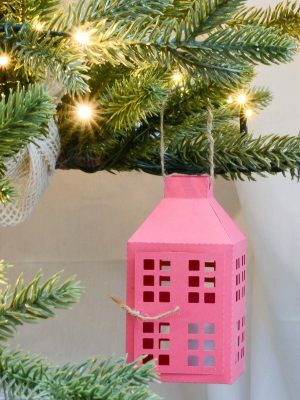 And if you cant get enough, make sure to check out these 19 Amazing Paper Christmas Decor Ideas. 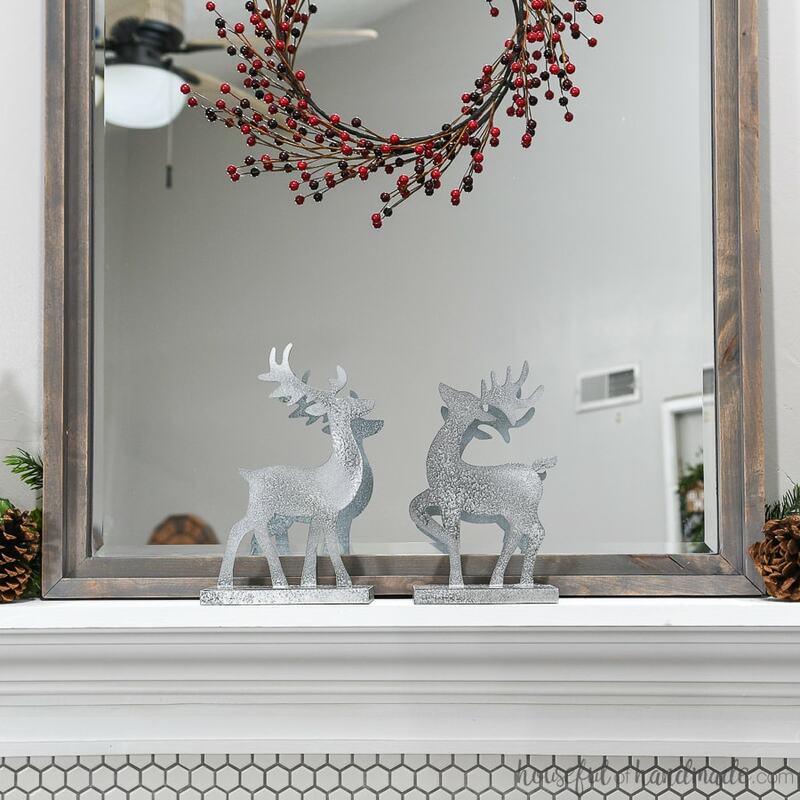 My favorite place to add some holiday cheer is the mantel. When the mantel is decorated for Christmas, the rest of the house just falls into place. 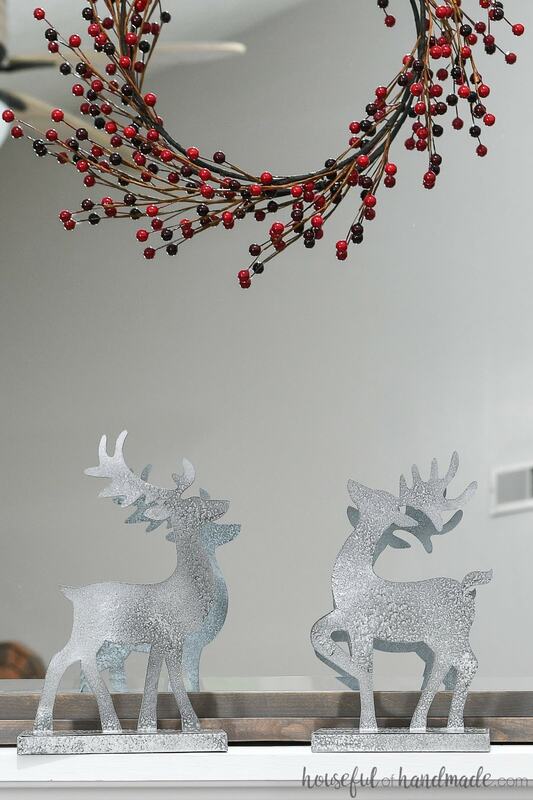 And these faux metal Reindeer figurines are perfect for the mantel. I have always loved reindeer decorations for Christmas. The magic of Santa and his sleigh are the things kids dream about. And who doesn’t love the classic Rudolph the Red Nosed Reindeer song. I’m pretty sure it’s the first Christmas song most kids learn. 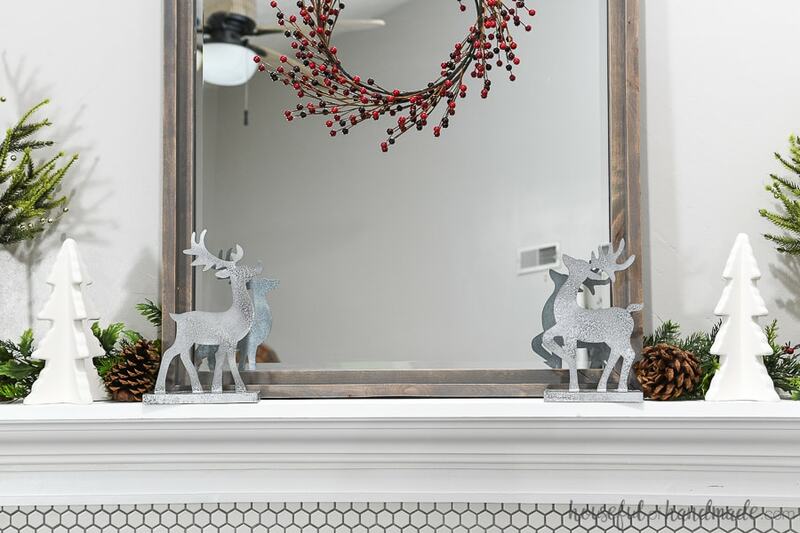 One of the easiest ways to continue with the magic as you grow is to use those mystical reindeer in your Christmas decor. Whether you put some in your front yard, on your roof, or just some simple Christmas reindeer statues on the mantel. 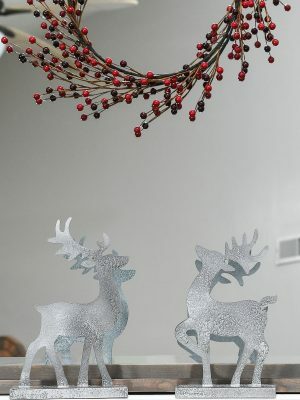 This year I wanted to include reindeer figurines in our decor, but didn’t want to spend the money on them. Those little reindeer can be pricey! So instead I made my own modern reindeer decorations out of paper! The perfect paper Christmas decor because they only cost a few dollars. But if you already have cardstock and a stash of spray paint, you can whip up your own reindeer figurines for Christmas for only pennies! Place them on your mantel nestled in the garland. Add them to a vignette in a bookcase or on a table. Place them in a forest of paper Christmas trees for a wonderful centerpiece. Glue them in the bottom center of a wreath. Place them on the counter for some magic in the kitchen. Add them to your Christmas village. 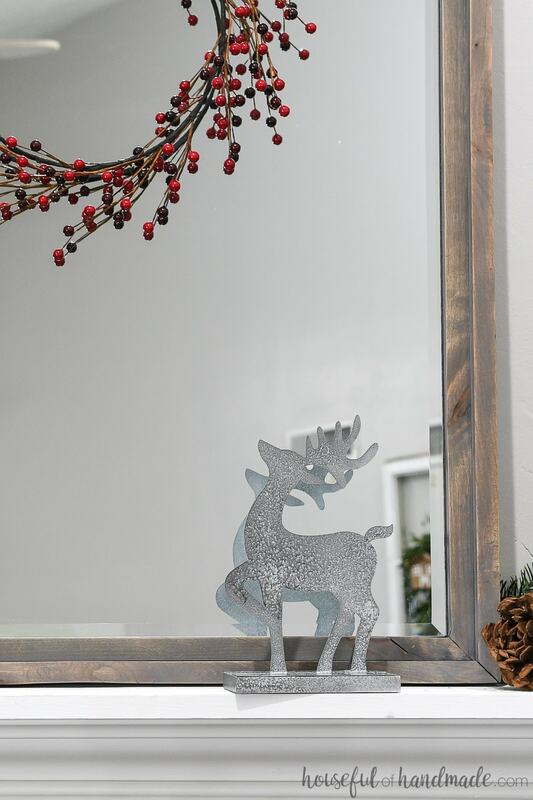 Now that you know exactly where you want to put your own reindeer decorations, let’s get to crafting! The cut files & PDF for these Reindeer Figurines were free to my subscribers until 12/4/2018. Now they are available to purchase in the shop. Make sure to subscribe so you will be notified of new freebies! I used Rustoleum Weathered Steel for my reindeer statues, but feel free to get creative and paint your reindeer figurines however you want! 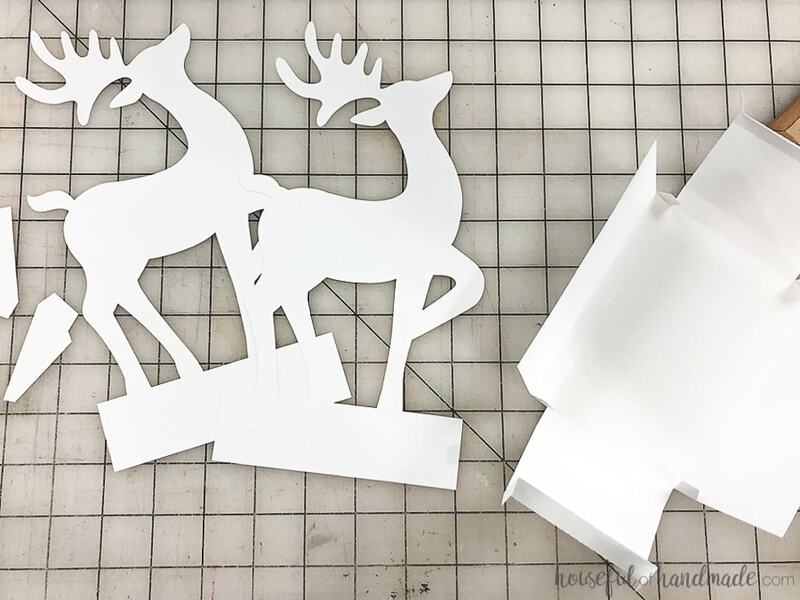 Cut 2 of the reindeer templates and 1 box template out of cardstock for each reindeer. On the reindeer template there are also 2 leg support pieces. You only need 2 total per reindeer. Glue the two reindeer templates together with a glue stick sot hey lay nice and flat. I like to apply glue to one half of the reindeer. Line it up and press to secure. Then apply glue to the other half and press to secure. Fold over the flaps at the bottom (you don’t want to do this earlier because it makes it harder to line up the two reindeer) to create a stand. Fold along all the dotted lines on the box for the reindeer base. To assemble, start by securing the corners of the box. Then fold in the sides that have the extra flaps on them. Secure the flaps to the inside of the box with some glue. These half flaps with the center sport help support the weight of the reindeer so the box doesn’t collapse over time. Glue the other 2 bottom flaps down to close up the box. Add the 2 leg supports to keep the reindeer from falling over. Use glue to secure them. Attach the reindeer statue to the top of the box. Makes sure it is centered then secure it with glue. I like to do one half then the other to make it easier to keep centered. Now you get to spray paint your Christmas Reindeer statue how you want! I love the hammered metal spray paints to give the paper a bit of texture. But the gold I used to paint the modern paper Christmas tree would be awesome too. 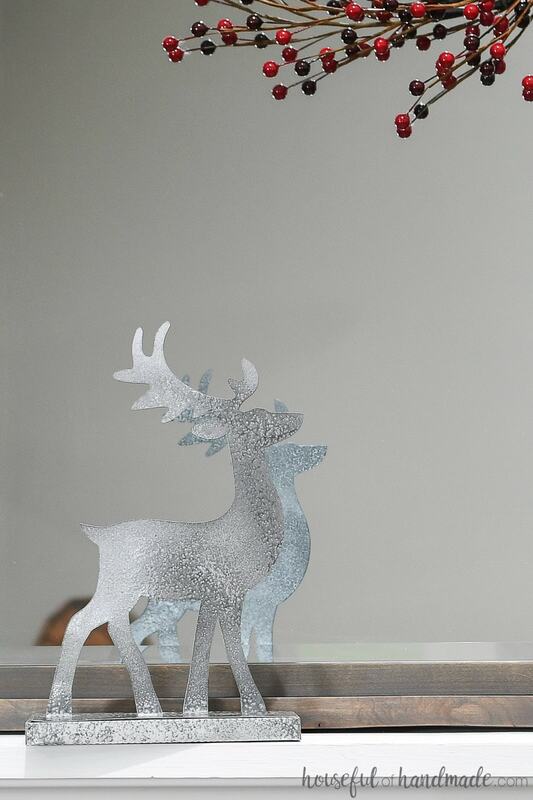 Or even use one of the stone textured spray paints to give your reindeer figurine a stone look instead of metal. Then you can display your reindeer however you want. I love them on our Christmas mantel. This year I went for a very classic Christmas look with the mirror, garland, reindeer figurines, trees, and more. 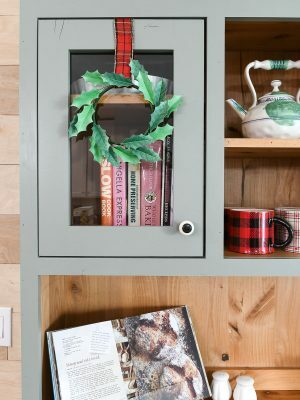 See the completed Classic Christmas Mantel decor here. Don’t forget to come back tomorrow for the last day of the 7 Days of Paper Christmas Decor. Now you can spend the Thanksgiving weekend making the perfect decorations to get you in the Christmas spirit!